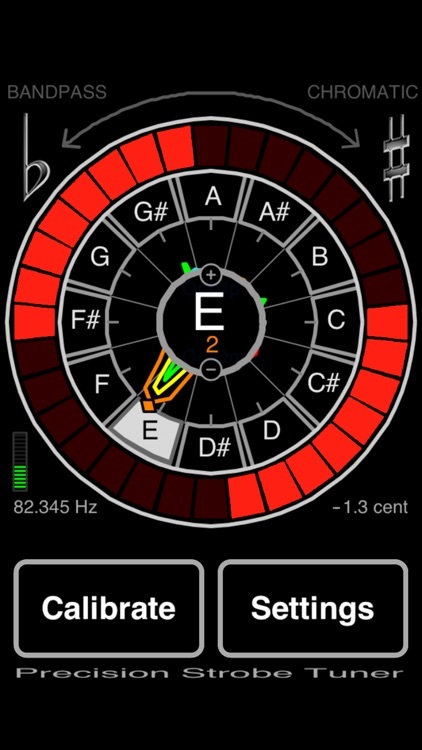 A General Purpose Chromatic Musical Instrument Tuner App with special Piano Tuning Functions. The Precision Strobe Tuner main screen features are the Spectrum Display, the Note Dial and the Strobe Display. The central Spectrum Display shows the input spectrum wrapped around the Display, with each Octave drawn in a separate color. The Note Dial is marked like a clock with the twelve notes of the Scale. 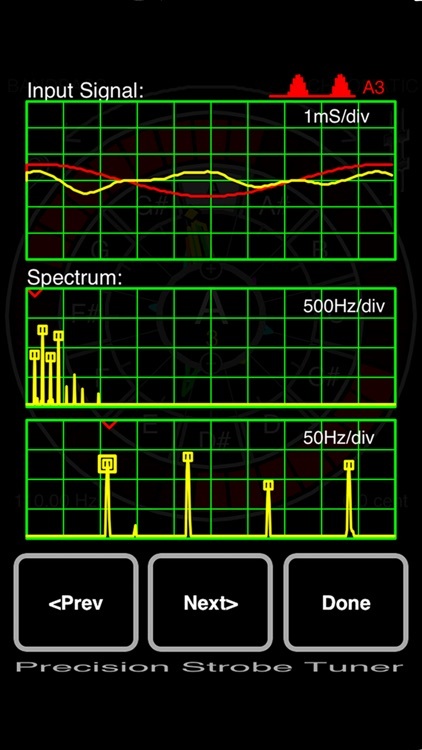 All overtones of the input are shown as peaks in the Spectrum Display pointing towards their corresponding Notes. 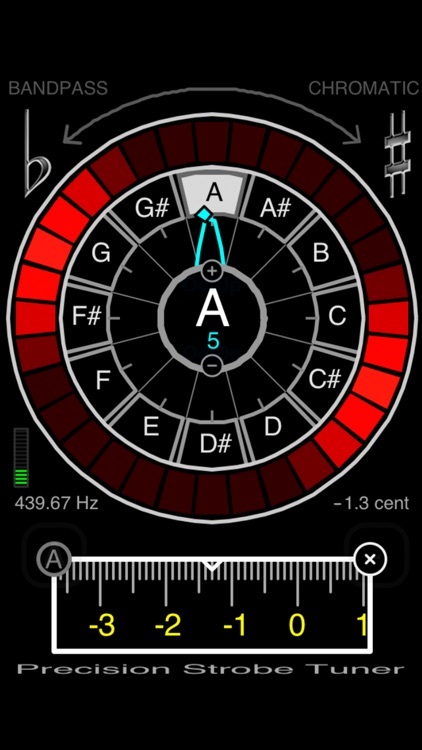 The Fundamental Indicator Tic on the Spectrum Display shows the Note of the Fundamental along the Note Dial, with the color designating the Octave. Use the Spectrum Display for coarse adjustment by tuning the Fundamental to the center of the desired Note Indicator. 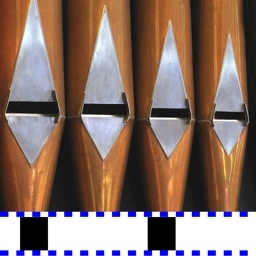 As the input approaches the desired Note, a Two Group pinwheel pattern becomes visible rotating in the Strobe Display. Fine tuning is accomplished by adjusting to stop rotation. The Strobe Display responds instantaneously to changes in pitch and is extremely sensitive. The outside Strobe Display works just like a classic rotating disk strobe tuner. 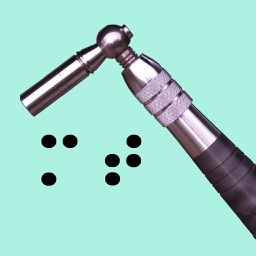 The Two Group pattern rotates CCW when the input is flat, and CW when sharp. 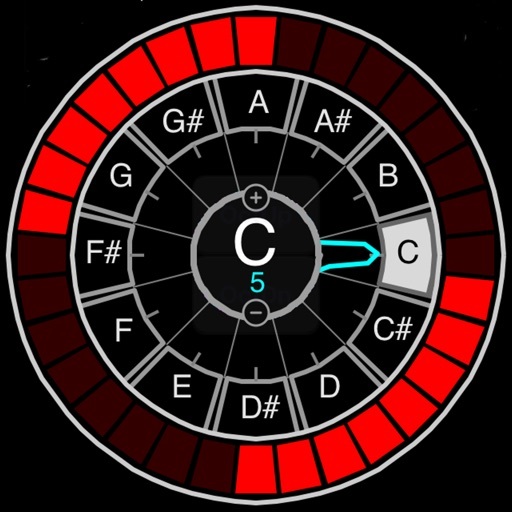 When the rotation is stopped, the note is in tune. The first screen shot shows the display tuning a Guitar Low E string. The Fundamental appears as an Orange peak in the Spectrum Display. This string rings bright, so the overtones are also dominant in the Display. Several other screenshots show the display for other Guitar Strings. 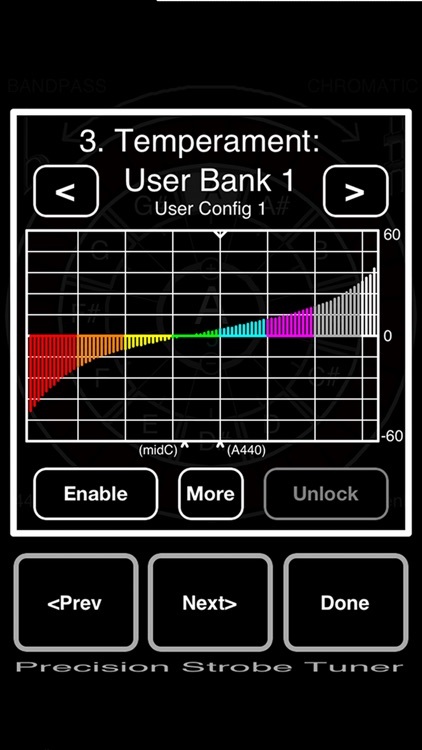 The second screenshot shows the display for an E 440 Tuning Fork with the Calibration Dial enabled and set. This Fork is 1.3 cent Flat. The third screenshot shows the Input Signal Scope/Spectrum Display Page. The PST also includes a Programable Temperament Function with 5 user definable banks. The final screenshot shows an example of a Temperament Bank setup to a typical Piano Stretch Curve. 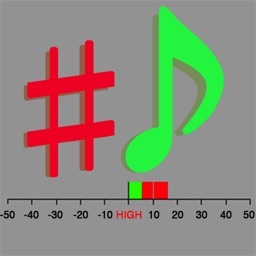 This can also be used for tuning alternate temperaments, pedal steel guitar setups, or special guitar intonation systems. In addition, there are several Special Measurement Banks used for String Inharmonicity characterization and Piano Stretch Curve Calculation. Individual strings are characterized by measuring the Fundamental and 2nd Harmonic separately. By careful selection of a few representative measurement points, a reasonable smooth fit Piano Stretch Curve can be generated. Any number of measurements up to C7 can be used. 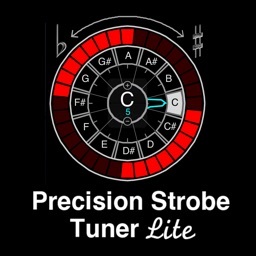 The Precision Strobe Tuner Lite version is available for free download to evaluate and verify operation before purchasing.